First,I will begin to construe who a slave is. A "slave" is someone who is a property of another person and whose labor and also whose life often is subject to the owners volition. A "slave" is a person who is legally owned as a property by his master(s) and his is forced to Obey them. This is the context of Joe Igbokwe who is now licitly, legally and constitutionally owned by his master(s). According to him (Joe Igbokwe) he served Bola Ahmed Tinubu, Babatunde Fashola and currently serving his present slave master the governor of Lagos State Akinwunmi Ambode. This confession by Joe Igbokwe goes out to vindicate and affirmed the word of the IPOB leader Mazi Nnamdi kanu who said he does not want to debate with a hungry and a Slave like Joe Igbokwe. 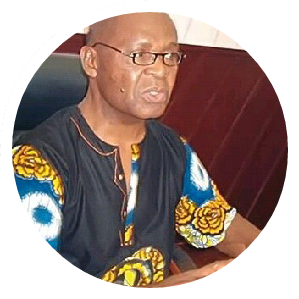 Joe Igbokwe, has made himself a slave of the highest modern of the 21st century, through his writeup, his hope were extinguished and impoverished to the abject level . Joe is prone and abase who always want to please his masters and give an impression of a good slave boy to them (masters) hoping of securing something from them. Joe is persona non grata who is looking to be famous through IPOB publication..